Are You Looking for Smarter Ways to Shop, Eat and Cook for a Better Life? If you answered YES we can help! 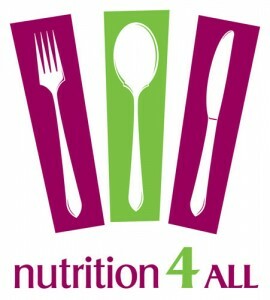 Welcome to Nutrition 4 All! We have been providing Nutritional Advice at the Kilmore Wellness Centre since 2012. Our Dedicated Dietitian Siobhan Floyd can show you easy ways to enjoy a healthy diet while saving money and time in your kitchen. Whether it’s a weight loss plan you’re seeking, or to manage or prevent a medical condition such as Diabetes or Cholesterol Issues, we can introduce you to a range of delicious foods and ingredients to help you achieve your wellness goals. We are dedicated to educating our clients so if you’re into self-help, you can benefit from the many free resources we have to share, such as Healthy Recipes posted weekly on our Facebook Page, Fun Cooking Workshops, School Lunch Box Workshops, Lifestyle Seminars, Supermarket Tours and “MOVE YOUR BODY” (our Free Walking Group) and More – all designed to enhance your success with healthy eating and improve your HEALTH.